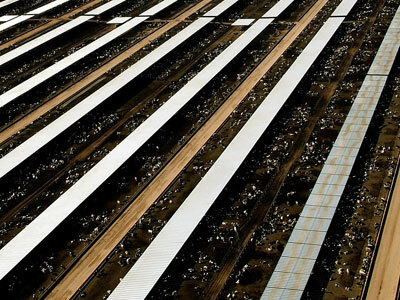 An event in the European Parliament, held today (30 November), has warned politicians of the negative impact a trade deal with Latin America could have on domestic EU beef producers. EU farming body CopaCogeca held what it described as a “major event” in Brussels to underline the potentially “catastrophic impact” a trade deal with South American bloc Mercosur could have on Europe’s beef industry. “The sector is also confronted with increased competition from imports, especially when it comes to high value cuts,” said CopaCogeca chairman JeanPierre Fleury. “A new EU trade impact study confirms the catastrophic impact that upcoming trade deals could have on the EU beef sector, unless tariffrate quotas on imports are imposed, especially the one being negotiated with the EU Latin American Trade bloc Mercosur. Fleury stressed that some countries in the Mercosur trade bloc did not have the same traceability standards and also used antibiotic growth promoters – substances banned in EU meat production. “These countries do not respect the same quality standards as those in the EU and there are still concerns about safety aspects of meat production in these countries,” added Fleury. He also called for a deeper analysis of differences between the Eurozone and South American carcase cuts to develop “the right EU meat strategy”. The EU is currently in negotiations over a comprehensive trade agreement with Mercosur (Argentina, Brazil, Paraguay, Uruguay, Venezuela) and ten rounds of talks have taken place, with the last one in October 2016 . CopaCogeca also used the event in Parliament to highlight the importance of the beef sector to EU agriculture. The body stressed beef production was carried out by 2.5m family firms and generated €30.5bn every year. CopaCogeca’s drive to promote beef comes as part of its Livestock Counts campaign – a promotion push to combat antimeat campaigns by highlighting the role of the meat industry in job creation and economic growth.